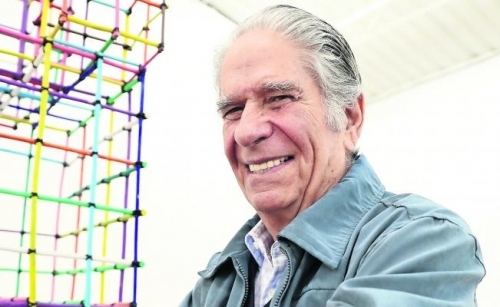 Eduardo Terrazas was born in 1936 in Guadalajara, Mexico. A founding member of the Mexican contemporary art scene, Eduardo Terrazas’s career is characterised by a dedication to his work within the fields of architecture, design, museology, urban planning, and art. As a young architect, Terrazas came to prominence as the co-designer of the logo and prevalent design elements for the 1968 Olympic Games in Mexico City. 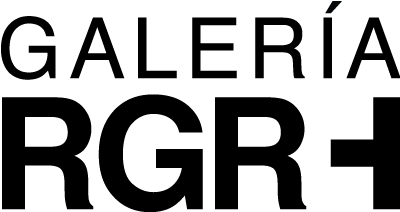 The logo – traced in concentric circles – was inspired by Huichol* techniques, and set a precedent for the geometric forms that have come to define the artist’s visual language. In the 1970s, Terrazas began experimenting with the formal relationships of geometric elements through drawings. These investigations, combined with the appropriation of elements from Mexican folk art, have resulted in a unique language that navigates both contemporary art and craft traditions. For Terrazas, the application of craft is an essential ontological process, which he deems particularly poignant for the 21st century. The Huichol yarn technique, whereby coloured yarn is arranged on wax-covered boards, has been adopted by Terrazas not only for its aesthetic properties, but also due to its labour demands, which require absorption in the act, and therefore meditation within the process. Terrazas first exhibited his work in 1972 at the Palacio de Bellas Artes, Mexico City. The following year was marked with exhibitions at the Museo Nacional de Bellas Artes, Santiago, Chile and at the Museo Nacional de Arte, La Paz, Bolivia. He was included in the Biennale de Paris at the Musée d’Art Moderne de la Ville de Paris in 1969 and in Graphics 1: New Dimensions at the Museum of Modern Art, New York in 1970. Most recently, his work has been included in Poule! 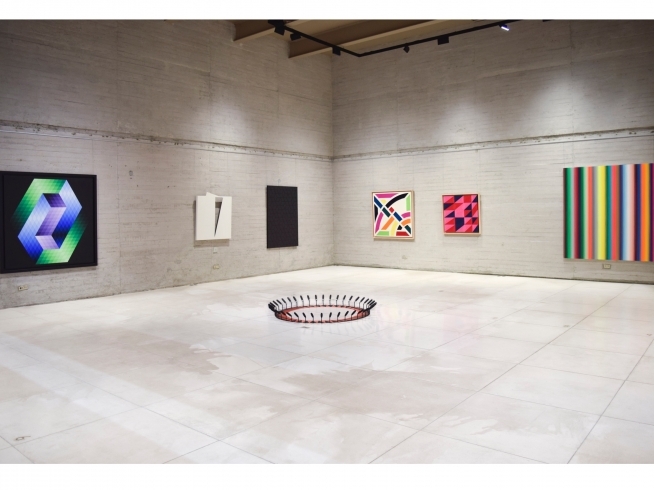 at the Fundación Jumex, Mexico City in 2012, and in the Sharjah Biennial II in 2013. In 2015, Terrazas presented solo exhibitions of his work at the Museo de Arte Carrillo Gil, Mexico City, and at Timothy Taylor, London. Following a bachelor’s degree in architecture from the Universidad Nacional Autónoma de México in 1958, Terrazas was awarded a scholarship for a Masters in Architecture at Cornell University, New York, which he completed in 1960. In 1962 he gained his certification in Prefabricated Architecture from the Centre Scientifique et Technique du Bâtiment, Paris. Terrazas has held positions as a lecturer in Architectural Design at Columbia University, New York from 1964 to 1965; the University of California, Berkeley from 1969 to 1970; and Cidoc, Cuernavaca in 1971.